Sponsor The 30th Anniversary Energy Fair! Sponsorship and advertising help make The Energy Fair the largest and longest running event of its kind in the nation. Because of your support, we’re able to keep admission rates low and attract a total attendance of 10,000+ sustainability-minded people. Contact Jordan Pupols at jordanp@midwestrenew.org or 715-592-6595 ext. 106. Alliant Energy Corporation is a Midwest U.S. energy company primarily engaged in electric generation and the distribution of electricity and natural gas. Our mission is to deliver the energy solutions and exceptional service that our customers and communities count on safely, efficiently, and responsibly. My Wisconsin Woods is a public private partnership dedicated to serving woodland owners across Wisconsin. We connect you to the information, events, and technical assistance you need to care for your land. The mission of the Cooperative Regions of Organic Producer Pools (CROPP) is to create and operate a marketing cooperative that promotes regional farm diversity and economic stability by the means of organic agricultural methods and the sale of certified organic products. The Aldo Leopold Foundation is a 501(c)3 not-for-profit organization that works to weave a land ethic into the fabric of our society; to advance the understanding, stewardship and restoration of land health; and to cultivate leadership for conservation through the legacy of Aldo Leopold. Dairyland provides wholesale electricity to 25 member distribution cooperatives in four states (WI, MN, IA, IL). In turn, these Touchstone Energy Cooperatives meet the electricity needs of more than half a million people. Dairyland’s renewable generation resources include hydro, wind, landfill gas, biomass, animal waste, and solar. Celebrating its 28th year as the nation’s largest pellet stove and pellet dealer! We specialize in freestanding pellet stoves, inserts, pellet furnaces, pellet grills, and 5 levels of quality replacement windows! Stop by our booths X2-4 and speak to one of our professionals! Since 2005, Kickapoo Coffee Roasters has forged lasting, equitable partnerships with small scale farmers. Kickapoo works directly with coffee cooperatives and growers to ensure high standards for quality, sustainability and farmer compensation. In the summer of 2015, we installed a 25-kilowatt solar array on our wildflower-filled front lawn. Going solar means less fossil fuels burned and more responsibly sourced, sustainable coffee roasted. To learn more about our farmer partners and the exceptional coffees they produce visit kickapoocoffee.com. NWREC is central Wisconsin’s most trusted renewable energy and solar solution provider, specializing in design and installation for residential, commercial, and governmental customers. All told, the North Wind team collectively brings in-house experience in a wide range of solar development capacity including design, installation, project management, consulting, grant writing and service. Energy Fair Location at PV Systems Tent – We are a full service solar electrical contractor providing grid-tied, standalone, and a wide variety of solar electric systems in WI. I personally have 38 years of experience in this field. We are also a factory authorized service center for Schneider Electric inverters. Werner Electric Supply’s Clean Energy Experts offer you the solutions to go clean and green for EV Charging Stations and PV Solar Systems in Wisconsin, UP of Michigan, Illinois, and Indiana markets. Our services include design assistance for grid tie, off-grid, and hybrid systems. We can help you with energy production calculations and comparisons, clean energy project coordination from beginning to end, and hybrid system designs which provide the best solution and cost savings for your application. Delivers on solution, supply, and support to be our customers’ competitive advantage. Provide customers with premier products and services serving multiple markets: renewable energy, commercial, contractor, industrial, OEM, institutional, and system integrator. Established in 1920, serves Minnesota, northeast Iowa, and western Wisconsin. We are staffed with NABCEP certified specialists to meet our customers’ needs. 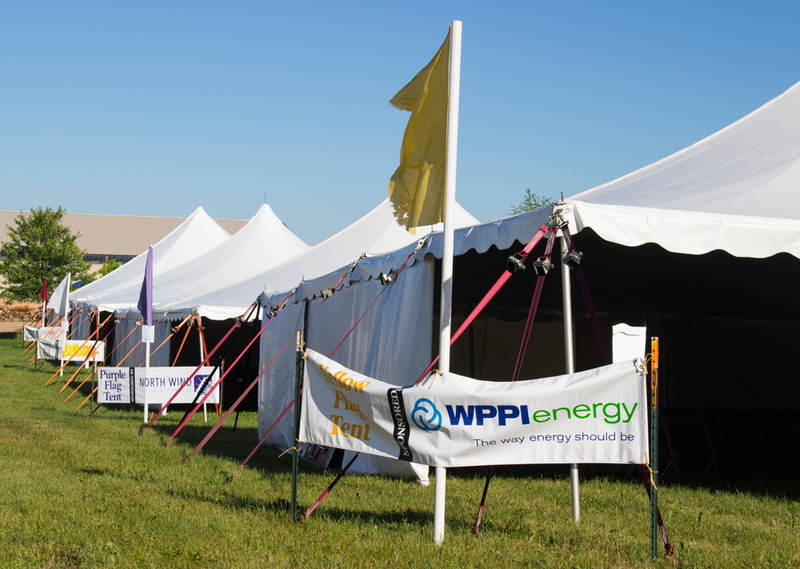 WPPI Energy is a regional power company serving 51 consumer-owned electric utilities. Through WPPI Energy, these public power utilities share resources and own generation facilities to provide reliable, affordable electricity to more than 200,000 homes and businesses in Wisconsin, Upper Michigan, and Iowa. ZEF Energy provides Level 2 and DC Fast Charging solutions, and is committed to expanding its Midwest-based Fast Charging network to accommodate the rapid growth of electric vehicle use. We have successfully worked with utilities, cities, non-profit, and for-profit partners in our mission to provide increased availability of reliable and cost-effective electric vehicle charging to their customers and the public. A semester school for high school juniors and advanced sophomores focused on environmental stewardship and outdoor education. Scholarships are offered to all qualified students interested in an experiential curriculum immersed in environmental history, nature literature, and the science of conservation, while still continuing their required academic studies. Focus on Energy is Wisconsin utilities’ statewide energy efficiency and renewable resource program. Since 2001, the program has worked with eligible Wisconsin residents and businesses to install cost-effective energy efficiency and renewable energy projects. The IBEW is an organization with over 370,000 members trained in various phases of electrical construction and technologies via our self-funded, nationally certified classroom and on the job training programs. Collectively, the IBEW provides qualified, world class manpower for over 14,000 electrical contractors across the United States and Canada. Mid-State Technical College offers an associate degree as a Renewable Energy Technician. Apply today at mstc.edu. The North American Board of Certified Energy Practitioners (NABCEP) offers entry level knowledge assessment, professional certification, and company accreditation programs to renewable energy professionals throughout North America. Raising industry standards and promoting consumer confidence, NABCEP is known as the gold standard for PV and Solar Heating Installation and PV Technical Sales Certifications. Nature’s Pathways Magazine is a community-based monthly print and online magazine with a circulation of 15,000+ distributed at over 430 locations in Northeast Wisconsin that connects readers to local businesses. We provide relevant information on sustainability, green living, healthy recipes, personal wellness and more. In 1900 NECA Chicago and IBEW Local 134 formed a cooperative effort between labor and management to meet all electrical construction needs for customers. We are a community of qualified contractors employing highly trained union electricians in the Chicago Metropolitan Area. We are your complete energy solutions provider. Poly-Tex has been providing canopy systems for over 30 years to our original market—the passive solar greenhouse industry. We have provided greenhouse canopy systems nationwide, including large systems in excess of five acres and are now extending our designs to address solar canopy systems. Roof Tech’s compact and versatile PV mounting systems with integrated flashing certified with the International Code Council (ICC). RT-[E] Mount AIR® and RT-MINI attaches to rafters or anywhere else on roof decking. It comes complete with watertight and durable RT-Butyl flexible flashing, PE stamped certification letters, UL 2703 and ICC ESR-3575 certification. For 100 years, Wisconsin Public Radio has served the people of Wisconsin with quality news, music, talk and entertainment. On air, online and in the community, we work for Wisconsin. Listen, learn more and donate at wpr.org. WPR is a service of the Educational Communications Board and University of Wisconsin-Extension. Arch Electric is recognized as a leader in Wisconsin’s renewable energy industry. We are firm believers in handshake ethics and have a diverse staff of trusted, licensed, NABCEP certified solar experts with over 100 years of combined experience. The knowledge and experience base that we provide is second to none. Design and construction of high performance homes. Specializing in passive solar design, sustainable materials, and superior craftsmanship. Installation and design of Masonry Heaters. Exhibiting expert knowledge of advanced fuel vehicles for the past 16 years at The Energy Fair. Our dedication to promoting advanced fuel vehicles has spanned all technologies and brands from ‘glorified’ electric golf cars to the 2018 Green Car of the Year Award winner. Experience what a no pressure informative dealership has to offer. Quality + Craft + Creativity. Offbeat Press is a full-scale screen printing shop and design office specializing in quality apparel, creative design and illustration. Experience the difference with soft and beautiful prints, comfy apparel and eco-friendly options from a certified green business. Energy Fair Exhibit Booth B35 & 36 – OutBack Power technologies is the premier designer, developer and seller of off-grid and grid hybrid power electronics and balance of system components, for renewable energy and other power systems. Known for Grid/Hybrid systems (both off-grid independence and grid-tied savings) and for developing industry-renowned technologies, OutBack Power has decades of pioneering experience perfecting industry-standard innovations including pure-sine wave inverters and maximum power-point tracking (MPPT) charge controllers. Raw Rev spreads mindful, healthy eating. The power is in the ingredients; fruits, nuts, and seeds infused with raw superfoods. You deserve a delicious and uplifting eating experience that lets you feel your best. Empower yourself. Embrace your revolution. Our commitment to using only organic ingredients means that the consumer, farmers, and land are not exposed to toxic chemicals or Genetically Modified Organisms (GMOs)…the food remains as nature intended for maximum nutritional value. Use promo code “Dorathea” at www.rawrev.com for 20% off your entire purchase of bars! RENEW Wisconsin is a nonprofit organization that promotes renewable energy in Wisconsin. We work on policies and programs that expand solar power, wind power, biogas, local hydropower, geothermal energy, and electric vehicles. Since 1991 we have been a champion for clean energy solutions in the Badger State. The Sierra Club is an advocacy organization that supports environmental stewardship and renewable energy and energy efficiency. Our booth will contain educational materials about energy and other environmental issues in Wisconsin. UW-Madison’s master’s program in Resource and Energy Demand Analysis (REDA) provides graduate training in economics and data analysis for a smart, green world. The accelerated curriculum enables students to earn their master’s degree in one year. Coursework prepares students for careers in the fields of energy, resource, and environmental management. Wisconsin Farmers Union is a member-driven organization committed to enhancing the quality of life for family farmers and rural communities through education, cooperation and legislation. Through its Solar Powered Farms (SPF) partnership, WFU is striving to make on-farm solar attainable. Farmers Union Camp & Youth activities focus on cooperatives, leadership and sustainability. Xcel Energy provides the energy that powers millions of homes and businesses across eight Western and Midwestern states. As the number one clean energy provider in Wisconsin, we offer our customers a variety of renewable energy options to choose from including Solar*Connect CommunitySM and our newest option, Renewable*Connect®. BayWa r.e. Solar Systems, a leading U.S. solar distributor for over a decade, provides a best-in-class order fulfillment solution – combining robust logistics, streamlined warehousing, advanced IT systems and expert customer service, to improve job planning and installation success. Colectivo Coffee is celebrating 25 years of community, creativity, and coffee. Since 1993, we have been hand roasting our Session Coffees in Milwaukee, Wisconsin, maintaining our commitment to creating unique retail environments, providing strong community support, and minimizing our environmental footprint. With cafes in Milwaukee, Madison, and Chicago, we are proud to provide remarkable experiences through our people and with our products. Our company educates customers on basic septic system maintenance and how to avoid costly repairs and potentially unsafe septic failures. They service septic systems and rent portable restrooms. Did you know that portable restrooms save 125 million gallons of fresh water everyday? Current Electric is licensed, insured, bonded, and a NABCEP certified solar installer with over a decade of solar energy installation experience. We have completed hundreds of solar installations over the past decade for a variety of customers, including residential, commercial, industrial, manufacturing, churches, educational, agriculture, and non-profit. Emy J’s Cafe uses the finest and most locally produced ingredients we can find to create a unique blend of menu items. We roast all Fair Trade or Organic Coffees on site. Our Ice Cream is made in Madison Wisconsin by Chocolate Shoppe Ice Cream. Our Smoothies are made with all real fruit, yogurt and locally produced honey. We use solar power to offset our energy usage. Milwaukee Shines, the City of Milwaukee’s solar program, works to expand solar energy use through a comprehensive, citywide approach. Milwaukee Shines helps create cleaner air for our community and helps reduce energy costs for the City and the community at large. Milwaukee Shines is a project of the City’s Environmental Collaboration Office, and collaborates with community partners to build a clean energy future for Milwaukee. For more information, please visit: milwaukeeshines.com. Sand Creek Consultants, Inc. is a nationally-recognized environmental engineering firm providing a full array of phytoremediation and innovative remediation solutions. We provide services for landfills, agricultural chemical storage facilities, lenders, local and state governments, and other property owners where soil, groundwater, or stormwater management issues are of concern. Slipstream creates, tests, delivers and scales the next generation of energy efficiency and renewable energy programs that move us farther, faster toward a clean energy economy. Slipstream partners with utilities, local and state governments, regulatory agencies and other organizations to inspire new solutions to big energy challenges. Located in the heart of our community and open to the public since 1972, the Stevens Point Area Co-op is member-owned and serves its community by providing high-quality products with a strong focus on local and organic options. Please visit www.spacoop.com for more information. The Wisconsin Center for Environmental Education (WCEE) provides leadership and resources to advance education for sustainable human and natural communities. The WCEE is part of the College of Natural Resources (CNR) at the University of Wisconsin-Stevens Point, which is widely regarded as the nation’s leading undergraduate natural resource program. High-Speed Fiber Optic Internet and the hometown touch are our calling cards. You might recognize us as the Internet Company in Amherst with the solar array on our roof. We have had a blast keeping up with the times, which is why we are the most prominent Internet, Telephone & TV provider in Eastern Portage County. The magic ingredient? -We listen to our customers. And having the fastest affordable internet around sure helps. The Central Rivers Farmshed, Inc (known to most as Farmshed) represents all aspects of the food system whose members are committed to making Central Wisconsin a renowned, local food community. Farmshed is made up of people who care about local food, the environment, and community. They share concerns about the current food system, are willing to take action, are motivated to change the way we relate to our food, and are working hard to connect the dots so that everyone knows where their food comes from. Clean Green Action is a local grassroots, citizen-led group working to create a sustainable community through education, recycling and conservation efforts in the south Wood County area. Copps Food Center, originally founded by the Copps family and based in Stevens Point, Wisconsin, began its history in 1892 when E.M. Copps began selling food, grain and other items to loggers, river men and farmers. Incorporated in 1912, Copps continued to operate under family ownership until the company was acquired by Roundy’s in 2001. The addition of Copps to the Roundy’s brand opened new opportunities for Roundy’s in central Wisconsin. Delta Dental of Wisconsin has offered benefit services, claims processing, plan administration, and award-winning service to employers throughout Wisconsin for over 50 years. More than 1.8 million subscribers and their family members trust Delta Dental with their insurance needs. The largest dentist networks, wellness-focused plan options, and personalized service are just some of the reasons we are Wisconsin’s No. 1 Dental Plan. Energy Services of Portage County’s mission statement has always been to lessen the energy burden for income eligible households. Fleet Farm has been serving hardworking Midwestern families since 1955. Over the years, our customers have trusted us to provide everything they need for the jobs and joys of daily life. At Fleet Farm, we’re more than just a store, we’re Built for Real Life. MacroBars™ are cold-pressed, nut-butter based nutrition bars that offer a chewy and filling experience. Made from simple, clean ingredients, all MacroBars™ are certified vegan, gluten-free, organic, R.A.W., C.L.E.A.N., kosher and non-GMO project verified. As an independent community bank, we are owned and operated by people from the community . . . you can find them in church, in the grocery store, and at the PTO meeting. Our employees are active in our community and volunteer time for local organizations, events, and fundraisers. Since we were founded in 1893, we’ve had the same name, we’ve been at the same location, and we’ve continued to use the same guiding principles when making business decisions. Midwest Energy News, launched in 2010, is a non-profit news site dedicated to keeping stakeholders, policymakers, and citizens informed of the important changes taking place as the Midwest shifts from fossil fuels to a clean energy system. My Little Salesman (MLS) is a news outlet, marketplace, advertising and technology service provider. Since 1958, My Little Salesman has connected buyers and sellers of equipment through its Heavy Equipment and Truck & Trailer Print Publications, industry newsletters, custom-built dealer websites, and online at MyLittleSalesman.com, where you can browse new and used construction, aggregation, mining, logging, biomass, and farm equipment for sale. The Progressive magazine is a voice for peace, social justice, and the common good. It stands against militarism and the concentration of power in corporate hands, championing grassroots democracy, peace, social and economic justice, civil liberties, human rights, a preserved environment, and a reinvigorated democracy. Its bedrock values are nonviolence and freedom of speech. Students will be prepared to become stewards of the earth, graduating with the skills to create and change the world around them. TRCCS’s curriculum is inspired by Waldorf and Environmental education and offers a collaborative and non-competitive learning environment that integrates the arts and offers hands-on experiences for Pre-Kindergarten through 6th grade. While large nationwide super stores carry clothing, housewares, and food products, Woodman’s is solely focused on providing the widest variety of grocery items at the best prices. At Woodman’s Markets we strive to be an integral part of the communities in which we live and work every day.